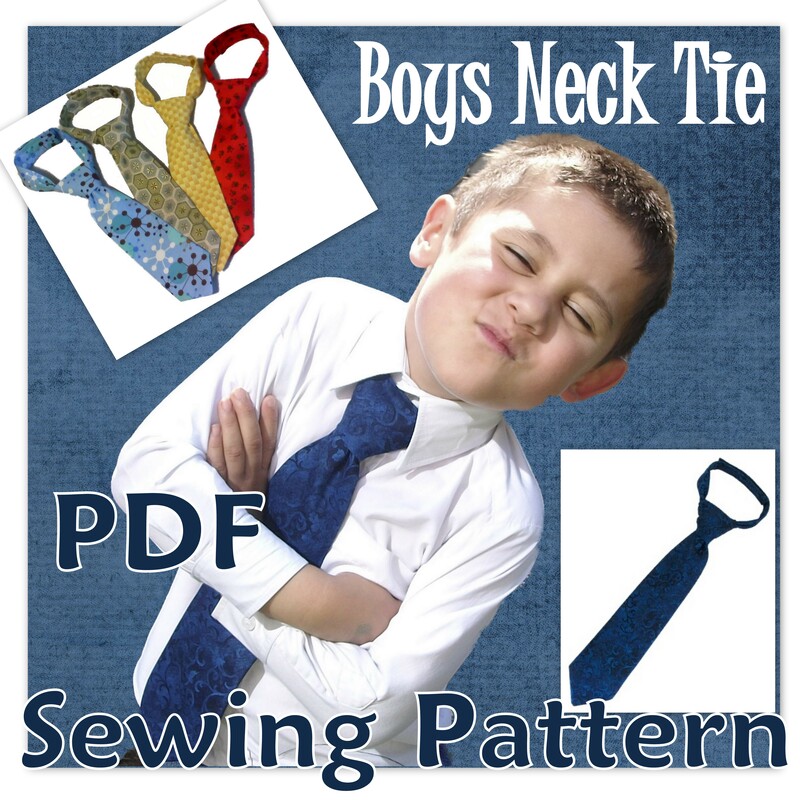 Sew your little man an adorable, adjustable, easily assembled neck tie! Now you can sew for your little man an adorable Tie for casual wear to special occasions. This Super easy PDF pattern will print from your own computer. You can make this tie in just a few hours. My Son Loves to wear his ties to school and church activities. He looks so smart and classy! Perfect for Gifts, Special occasions like weddings, parties and holidays. Make a tie to match everyone in your family pictures! The Adjustable Collar is great for growing boys! The thing I love most about this tie pattern is when he gets them dirty, I just take it apart and throw it in the wash, iron and put it back together like new! 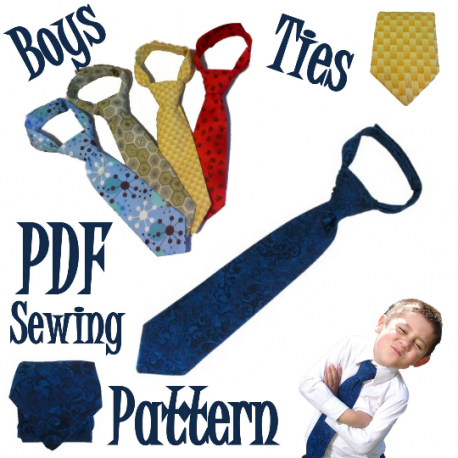 Easy fun instructions show you step by step how to make your tie. 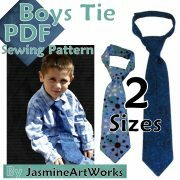 Pattern comes complete with 6 pages of pattern cut outs, and 7 pages of detailed instructions with 40 full color pictures. Pattern is an Instant Digital Zip Download! Don’t scale when you print. Your computer might say that clipping will occur, don’t worry, it won’t. Keep scaling off. This pattern is protected by US copyright laws. Distribution, copying, or reproduction is prohibited. Turn your favorite t-shirt into an adorable onsie! 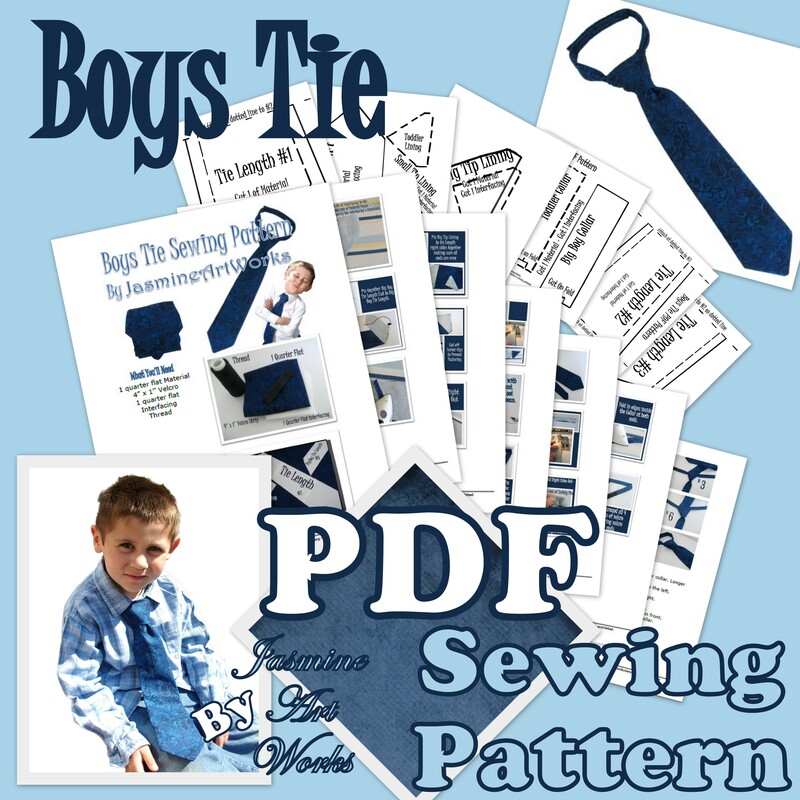 Sewing pattern to print and detailed instructions for 3 sizes! 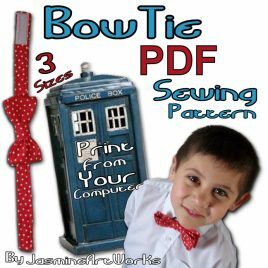 Sew an adjustable bow tie in 3 sizes with this easy sewing pattern! 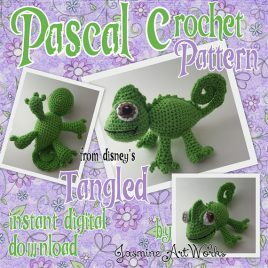 Crochet Pascal from Disney's Tangled. 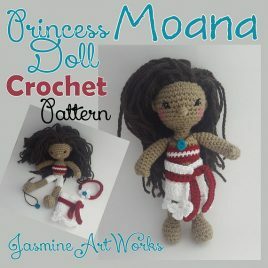 Make an adorable Moana doll! 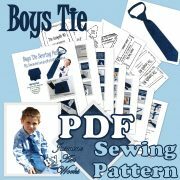 Unique One of a kind Digital Sewing and Crochet Patterns. These handmade treaures are inspired from my life as a mommy of 4, artist, baker, therapist, and designer. Happy crafting! "I hope to inspire new ideas, to create something beautiful even if its just a smile, and to enjoy life for all it has to offer."